Cadillac, General Motors’ legendary luxury brand, chose us to promote and present its premium line of high-performance auto parts and accessories. 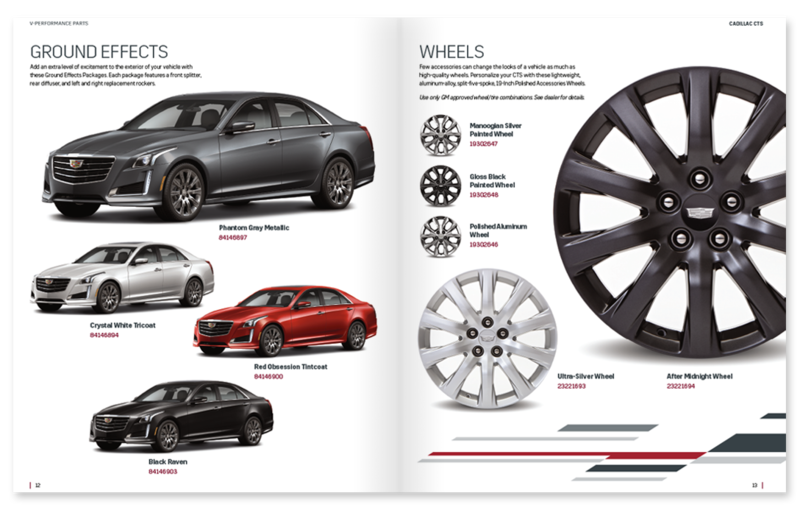 Through careful planning and execution, we developed a striking catalog that matched the elegance and power of the Cadillac brand. 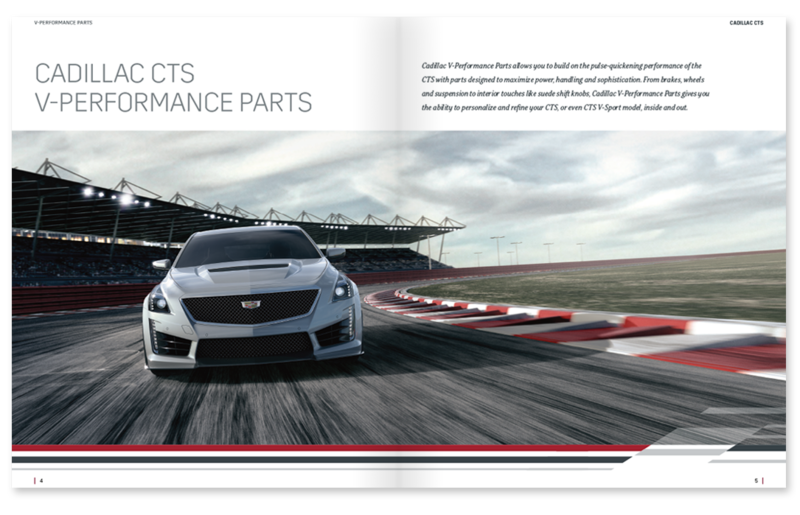 Producing Cadillac’s annual catalog for its V-Performance line of parts was a complex and demanding job. 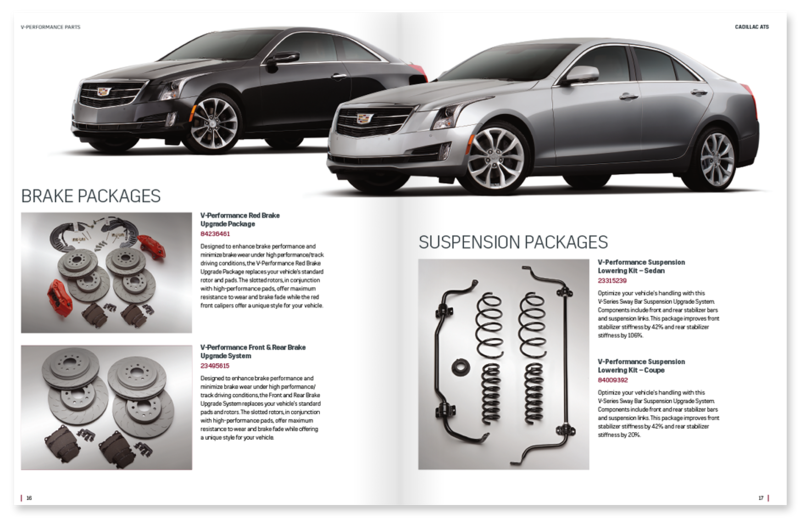 In addition to providing customers with accurate information, the catalog is a key sales tool that must appeal to Cadillac’s sophisticated customers and effectively promote this premium line of performance parts and accessories. Our team of exceptional designers, writers, art directors, photographers and project managers ensured the level of quality, presentation and appeal Cadillac customers expect and appreciate.